我们总是听说中国主宰了AI，可是为什么大部分领先的AI研究人员和研究中心都位于英美和加拿大呢？ [美国媒体] Why do we hear so much about China dominating AI, when (as of 2019) most of the leading AI researchers and research centers are US, UK, or Canadian? Why do we hear so much about China dominating AI, when (as of 2019) most of the leading AI researchers and research centers are US, UK, or Canadian? As a researcher in the AI field working in the UK, I would like to share some of the honest opinions about this field. Firstly I would say the entire global AI research community has yet to make significant breakthroughs. Conventional AI based on mathematical reasoning has just failed to achieve higher accuracy than current machine learning based techniques. Despite so many variants in building different learning networks or optimization techniques, we still can’t escape the curse that everything we’ve built is just statistical fitting concluded from a large chunk of training data. Yes, all US companies such as Google, Facebook also collect user information as their own private assets. But what’s different for those Chinese companies is that they have to follow Chinese law so that their data can be accessed and coordinated by the Chinese government. This is similar to having a central command that owns and manages all the data across companies. With this efficient control of data, China has much deeper data usage penetration than the US AI companies. So enough about the data, how about technology? Does China really dominate the AI research field? If you look at all the established publishing venues in machine learning such as CVPR, NIPS, AAAI etc, China is still far behind from the US and Europe in terms of citation counts. Does it mean China is lagging behind the US? Of course no. This is far complicated than just thinking in terms of publications. Let us instead have a look at the authors from the publications in the US. From this link can you identify how many papers in CVPR are actually written by Chinese Ph.D./researchers in US universities and companies? If you don’t have time to look at it, then I will tell you that over half of the papers are written by the Chinese researchers (based on their special PinYin names, such as Zhang, Xiang etc). And I am sure most of them are international students studying in the US but not US citizens. Secondly, talents working in the AI field enjoy a 75% reduction in their personal income tax from some regions in China (This is even a huge plus for the insanely high salary). And there are also various benefits and prizes from the government in housing mortgages and insurances. As far as I know, the US does not have such competitive policies from the government. Thirdly, those talents would be working on the *real* projects instead of toy projects when they were in US and UK research centers. Because those projects are mostly from government contracts, which is facing directly to the 1.4 billion people and enjoying a much more abundance of training data. Or if you are working on private projects in startup companies, you will have much more freedom in doing everything, because you don’t need to worry about political correctness, work ethics, or lack of data. You will be gaining special privileges from the Chinese government in doing business with others because you are the “foster target” of the Chinese government. The government caters your AI startups just like their own state enterprises. 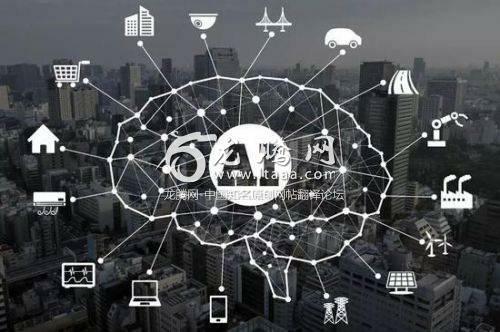 For example, an AI startup company is given the Chinese government licensed VPN so that all its employees can freely access the resources from Google, Github etc. And the company also enjoys discounts on renting offices and paying taxes etc. Finally, thanks to those talent programs and policies, China is gradually taking over the lead in AI adoption and applications. It might not be the pioneer in the sharpest machine learning technology in the research domain. But China is the devout believer and leading adopter of the existing AI technology. Have a visit to China, especially Hangzhou and Shenzhen, and you will know what I meant.